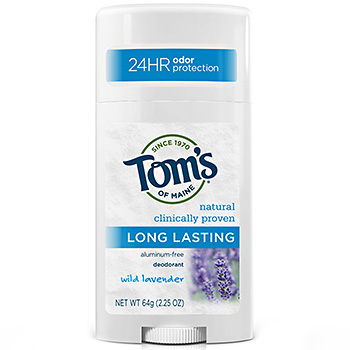 Review: Tom’s smelled great (if you like lavender) and was very reasonably priced. That was about all I liked about it though. I had to reapply multiple times per day. I also started to feel itchy under my arms and a reddish circle rash formed. I thought maybe my body just had to get used to these natural ingredients and learn to sweat and breathe without chemicals. I switched after a few weeks and there is a bit of discoloring under my arms from the rash still. Review: I liked the lavender scent of Kiss my Face. This deodorant required less applications through out the day. If I shower, put it on, and am not working up a sweat the rest of the day then I only have to apply once. If I am working out and not showering right away I will apply before and after being active. The itchiness slowly stopped once using Kiss My Face but I still had the rash. Review: I had high hopes for La Vanilla. It was recommended by more than one person. So I finally ordered from their website. I decided to try the Pure Vanilla scent which I didn’t like all that much. It reminded me of an old musky smell. I don’t believe La Vanilla made my rash any worse but it did not mask any smell for me. I had to reapply multiple times per day even if I was not active. So what’s the result? 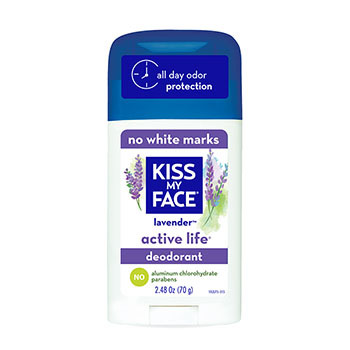 Well I went back to the Kiss My Face deodorant for now. I still have a slight rash under my arm but it’s not itchy anymore. It’s no easy task being healthy! Who has recommendations or experiences with these or other brands? The crystal! I switched years ago and it is amazing — and pretty much magic as far as I am concerned. Hmm I will have to try! Thanks Aurora! Try Ava Anderson and give me a review! Try green tidings! My friend swears by them! Good point! I just switched to a non – lavender one so we will see!